Some of the Asian countries are – apart from being beautiful – really cheap destinations, such as the Philippines. 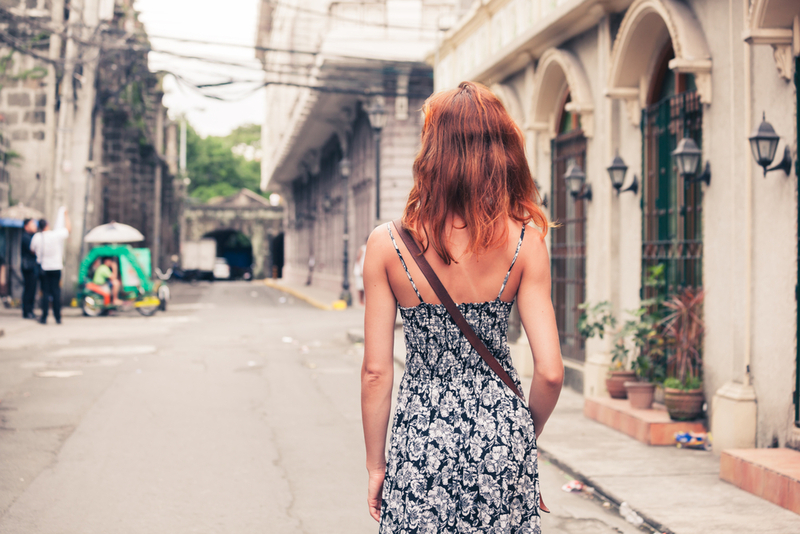 That is why our deal hunters have brought you this cheap flights to Manila with China Air for $833. Fly from San Francisco this September and save big on your airfare deal. Though this flight was provided by Expedia, we have found it on Travelgrove, so that is where you should also start your search. But do not forget that checking more merchants you will have better chances at finding the best deal. Take a look at the screenshot and you will see that the Manila flight departs on September 1 from San Francisco International Airport (SFO) and fly back from Ninoy Aquino International Airport (MNL) on September 8. It has one stop each way in Taipei, Taiwan, first an 8 hour one and then a little more than 5 hour one. The China Airlines Dynasty Flyer frequent flyer program will provide you wit 7,676 award miles for purchasing this flight. This means you pay less than 11 cents for each mile. 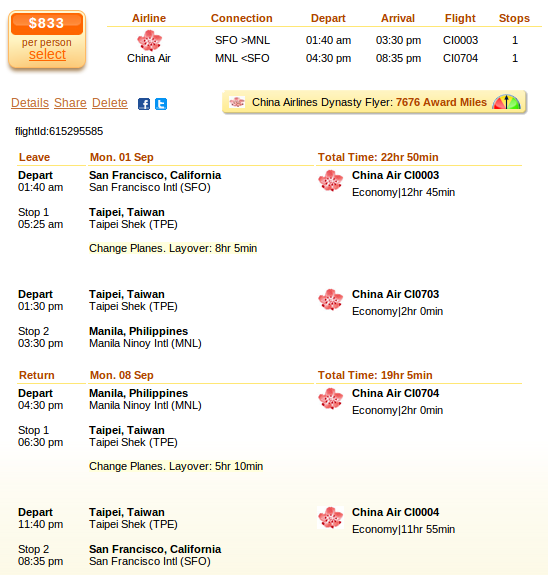 Expedia provides the cheapest flight on the San Francisco to Manila route with China Air, only $833 r/t. Faregeek has the next best offer, but that is nearly $20 more expensive. In the table you can check the prices of all the providers we have searched.